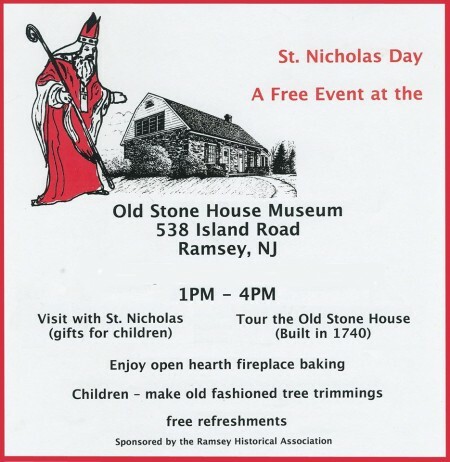 St. Nicholas Day will be held on December 7th at the Old Stone House from 1pm to 4pm. 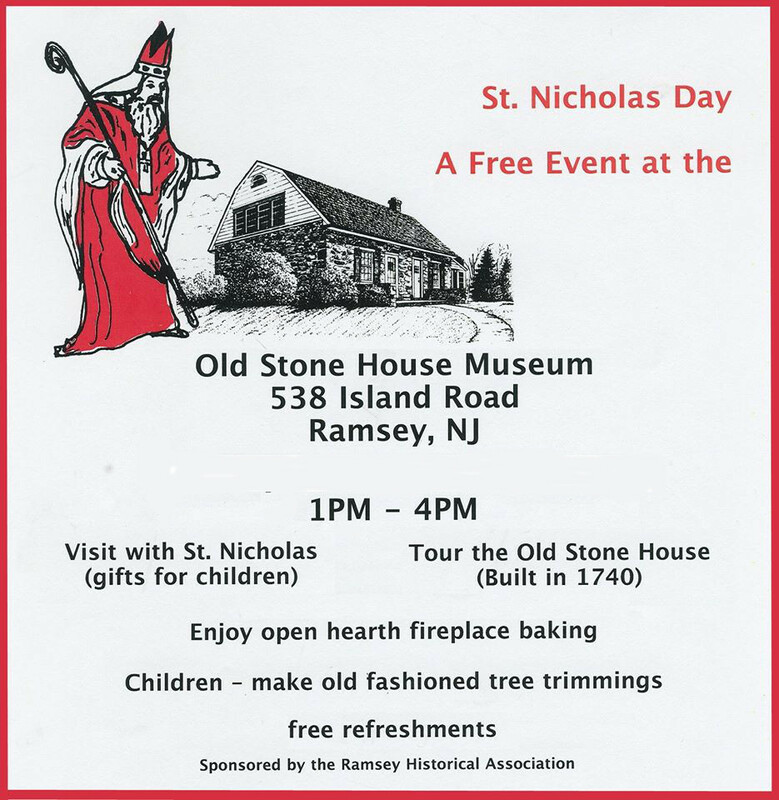 St. Nick himself will be visiting to help us celebrate the holidays at Ramsey’s oldest home. In this special open house children can visit with St. Nicholas, the traditional colonial Dutch Santa Claus. Visitors will also enjoy tours of the Old Stone House decorated for Christmas, and our restored circa 1800 Jacob May barn. There will be demonstrations of open hearth cooking, and children can make old fashioned crafts and tree trimmings with the help of our local Ramsey girl Scout Troops. As always free refreshments will be on hand so don’t miss this annual Ramsey tradition.